In Tips for Selecting a Good White Wine, I spoke about the bad luck I’ve been having with selecting wine. In the recent past, I seem to always choose wines that I do not enjoy once I begin to drink them. My luck turned a couple of months ago, if only for a night, when I discovered a well-priced, red wine that I quite enjoyed, Pasqua Pinot Nero delle Venezie. It all started on an evening when I had invited a friend over for dinner. As I was buying groceries to make our evening meal, I decided to pick up a bottle of red wine. We were not celebrating anything particular, so I didn’t want to spend too much money on the wine. Instead, I was committed to finding a nice wine at a price close to 500 Ksh. Shopping at Nakumatt, I narrowed down my choices to two wines that I had never heard of before. Of the two, I finally decided to go with the Pasqua Pinot Nero delle Venezie. I had no strong basis for my decision other than the wine I finally chose was Italian and that I liked the packaging (yes, I am a sucker like that!). This time, though, this decision making process did not fail me. When I first tasted it, I found the wine a little sharp, but this was easily solved by refrigerating the wine for a short while. Although, most people believe red wine should not be chilled, but rather drunk at room temperature, it’s important to note that room temperature varies as climate varies. After some research, i.e, reading the product website, I did well to follow my instinct. 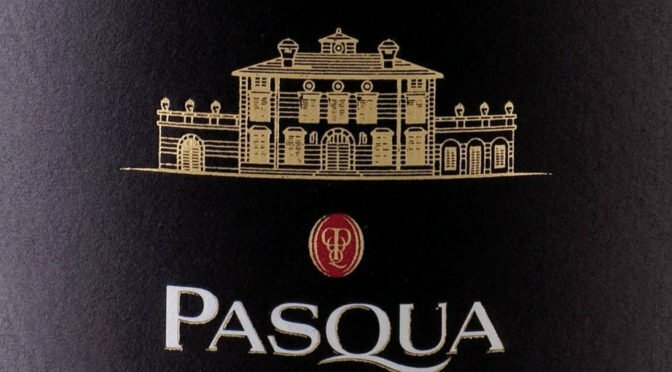 Pasqua, the makers of this wine, recommend that this Pinot Nero be served at 18-20°C. I am not sure what the temperature in Nairobi was that night, but as it was not a cold night, it was probably somewhere in the mid-20s. By chilling the wine, I was rightfully cooling it to its optimum temperature. I am not in any way a connoisseur of wines, so I will not attempt to describe this wine to you. Instead, I will just say that I enjoyed it and leave describing this wine to those who know it best. “A wine that is a ruby red colour, intense and fruited, with captivating sensations of soft fruit. In the mouth it becomes well-balances [sic] and tempting, with delicate and velvety tannins…. I would definitely buy this wine again. If you are looking for a good, inexpensive red wine to try, consider this one. When you do, let me know what you think. While we are on the subject, what are some of your favorite red wines? What do you like about them? I’d love to hear what you have to say and to take advantage of your wine-experience. Hi Biche! I stumbled upon your blog while studying….yes my mind does tend to wander. It’s a nice blog, and I encourage you to keep it going. I have discovered a few things about Nairobi, though I now reside elsewhere. On wine, I think you should try some from South Africa. I have been fortunate to visit the country and they produce some really good quality ones at a reasonable price. I hope there are shops in Nairobi that sell them. Some of the ones I liked are from estates/brands like Fairview-they have a brand called Goats do Roam, Fleur du Cap, Durbanville Hills, Backsberg etc. I like Pinotage-this is a blend from Pinot Noir and Hermitage grapes, Shiraz and Merlot for Red wines. If you look online, I’m sure there are more guides. And if you ever visit S.A. and want sample more, Stellenbosch-their wine region is the place. I have also tried wines from Chile and Argentina which I selected from the packaging:) and description and was not disappointed. Good luck and cheers! Thanks for the kudos on the blog and tips on wine selection. I will watch out for the ones you recommend and let you know what I think when I do. South African wines are readily available everywhere in East Africa – in Kenya and elsewhere – and I too have been pleased with some of the ones I’ve tried. I’ve never tried Argentinian wine though (though I have done Chilean). I will have to watch out for that.